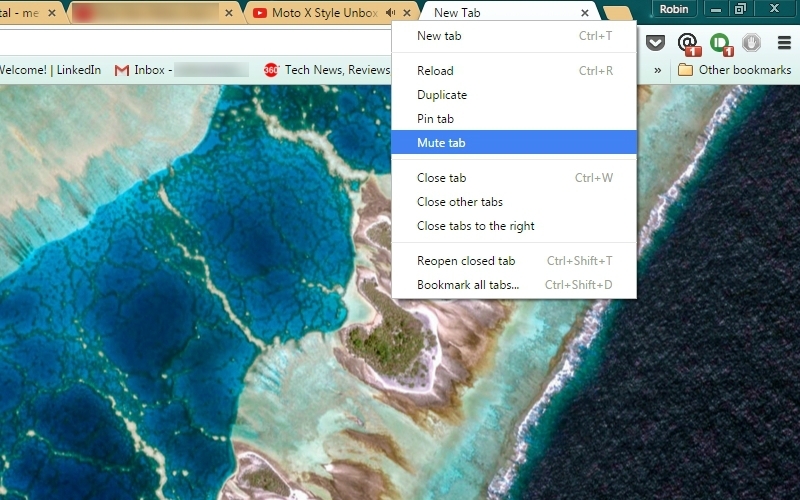 Google last year introduced a small icon for its Chrome browser to let users know which tab was playing audio. The search giant then few months ago started testing the feature with select users to allow the muting of individual tabs in the Web browser. Google has not rolled out the feature globally. Users will now be able to simply look for the tab showing the small 'audio icon', right click on it, and click on the 'mute' option. The feature is available on Windows, Linux, and Mac platforms. Added in Chrome v46, this feature was first spotted by The Verge. Until now, users needed an extension to mute individual tabs. The Mute Tab feature is present in Chrome 46, the same version that was launched last week. The browser version would start marking HTTPS websites with minor errors with the same blank page icon used for HTTP websites. Earlier these pages were marked with yellow caution triangles. As per the firm, it is a better indication for security. However, the secured HTTPS pages, regular HTTP pages and broken HTTPS page icons would stay unchanged. In desktop versions, Google has also removed the OK Google hotword detection for voice search, a feature introduced with Chrome 35 in May last year. For Android, Chrome v46.0.2490.76 improves the performance as it now uses new optimized image loading and service tools. Google said it would be removing Chrome desktop notification centre in the upcoming version of the browser. The search giant said not many users visited the notification centre and some disabled it, which made the feature pointless.